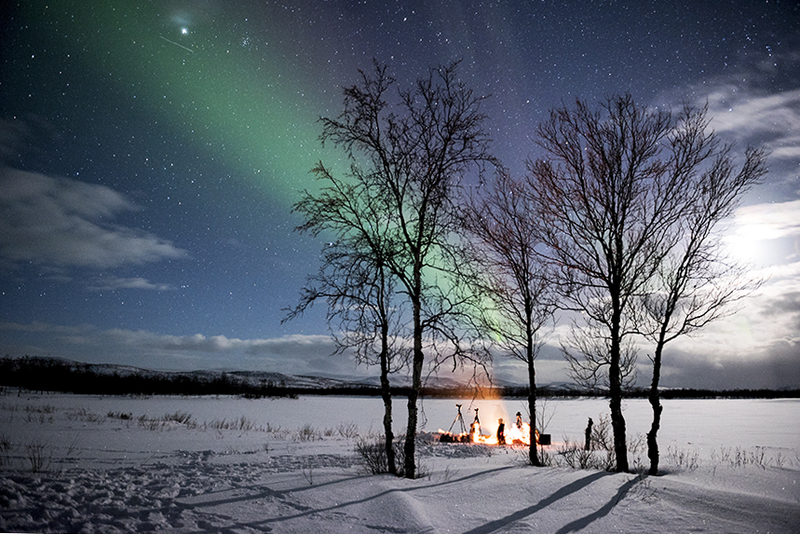 Ephemeral: fleeting moments found in the dancing Northern Lights. It’s been a trek to get here, I’m far from home but I marvel at the chance to be here within the Arctic Circle at 71*N. Nature put on a show the likes of which I’ve not witnessed before. Night sprites flittered across the dark sky like genies released from a magical bottle. Abstract light-shapes form and dissolve, this magnetic magic is caused by the charged particles from the sun striking atoms in the earth’s atmosphere. 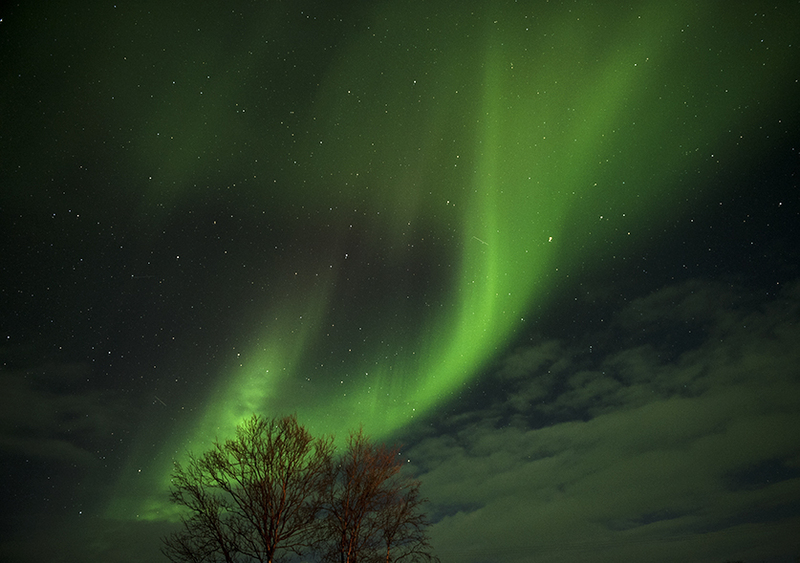 This causes the electrons in the atoms to move first in a higher energy state then when the electrons drop back to a lower energy state they release photons which create the Aurora of the Northern Lights as seen in these scenes shot recently in Finland. For more examples of “Ephemeral” check out the WordPress site here. © Liz Hardman – All rights reserved. Awesome! And what a fitting response to this week’s photo challenge. Well done!!!! Would love to see this, but your pictures bring the whole phenomenon to life for me. Thanks! Ever so dreamy!!!! Every time we see a Northern Lights post – we are more determined that next year, we are doing it! Lovely shots and lucky you to see this amazing phenomenon. Definitely one for the bucket list! Does S.A. get the aurora australis or is it too north? Liz- The photo is simply stunning. How this must have taken your breath away. I am so happy for you! Enjoy your trek.